Chandigarh, Jan 6 - The residents of Punjab, Haryana and the joint capital Chandigarh continued to brave the cold wave and the freezing weather Wednesday as mercury dipped further in the region. The met department has forecast rainfall in the coming days. Amritsar city of Punjab was the coldest in the region, with a minimum temperature of 1 degree Celsius. Ludhiana and Patiala cities were comparatively warmer as they recorded minimum temperature of 6.3 and 5.8 degrees Celsius, respectively. Chandigarh shivered at a minimum temperature of 3.4 degrees Celsius Wednesday, down from Tuesday's temperature of 7 degrees Celsius. Chandigarh, Jan 5 - Chandigarh and its neighbouring states of Punjab and Haryana Tuesday continued to bear the brunt of an intense cold wave that has claimed three lives. Amritsar in Punjab was again the coldest in this region Tuesday, recording a minimum temperature of 1.2 degrees Celsius. Ludhiana and Patiala cities in Punjab saw a minimum temperature of 7.8 and 8.2 degrees respectively. The minimum temperature in Chandigarh was 7 degrees Celsius. According to officials, the cold and icy winds left two people dead in Ambala in Haryana and one person in Amritsar in Punjab late Monday. Narnaul (Haryana), Jan 4 : A new central university, the first in Haryana, started functioning Monday in the state's educationally and economically backward Mahendragarh district. Chief Minister Bhupinder Singh Hooda inaugurated the first academic session of the university, in the district, 300 km from Chandigarh. With its own campus spread over 500 acres at Jant-Pali town, 7 km from Mahendragarh town, yet to be built, classes of the university have been started from the complex of B. Ed. College, Narnaul. 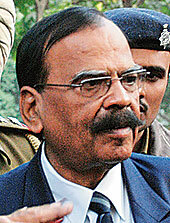 Mool Chand Sharma is the first vice-chancellor of the university. 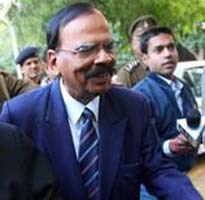 Chandigarh, Jan 4 : The special investigation team (SIT), set up by the Haryana police to examine criminal charges against former state police chief S. P. S. Rathore who is convicted of molesting teenager Ruchika Girhotra, will take some more time to complete its work, its chief said Monday. "We had got this case only last week and we are looking into every aspect of this matter. Our investigation is still under process and right now we cannot disclose our so far findings to anyone," Inspector General (Security) S. S. Kapoor, who heads the seven-member SIT, told IANS. 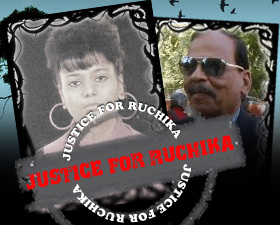 Haryana Chief Minister Bhupinder Singh Hooda assured to expedite investigations into the Ruchika molestation case through a Special Investigation Team for speedy delivery of justice to the family of Ruchika who was molested by former Haryana police Chief SPS Rathore. Chandigarh, Jan 2 : In a bid to streamline its working, the Haryana Urban Development Authority (HUDA) has digitalized nearly 250,000 files to enable web-based services to its customers, state Chief Minister Bhupinder Singh Hooda said Saturday. "It is a big achievement for HUDA and we have also directed the concerned officers to create a payment gateway. We have also told them to set up a computer-based grievance redressal system," he added. Chandigarh, Jan 2 : Former Haryana chief minister Om Prakash Chautala's Indian National Lok Dal (INLD) has fielded his son Abhay Singh Chautala for the Jan 20 by-election in Ellenabad assembly constituency. Abhay is the younger son of the INLD chief. Om Prakash Chautala and his elder son Ajay Singh Chautala are both members of the state assembly. 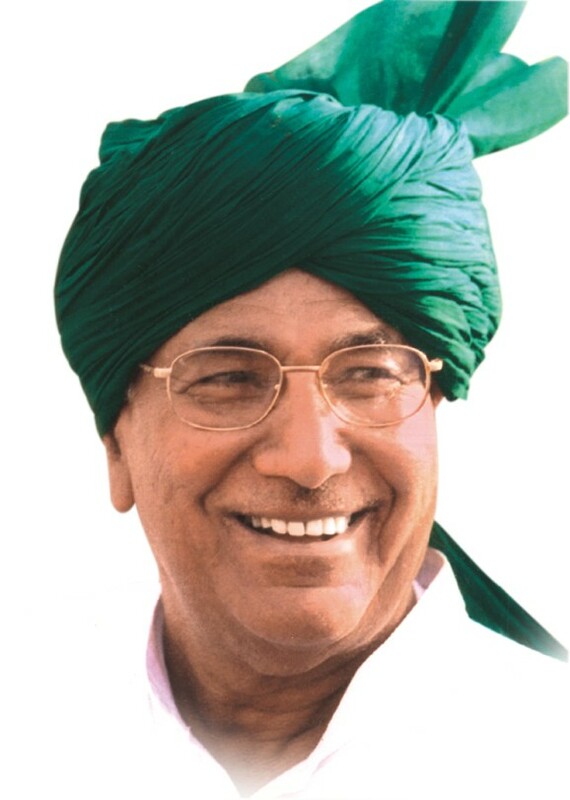 Om Prakash Chautala vacated the Ellenabad seat as he had been elected from two assembly seats - Uchana Kalan (Jind) and Ellenabad (Sirsa). Chandigarh, Dec 30 : The Haryana government Wednesday announced the setting up of a committee to probe the charges made against disgraced former state police chief S. P. S. Rathore in the two fresh first information reports (FIRs) registered against him, state government sources said here. The committee will be headed by Inspector General of Police Shatrujit Kapoor and includes Panchkula district police chief Maneesh Chaudhary. The committee will examine the charges made against Rathore in the Ruchika Girhotra molestation case and subsequent events in the two new FIRs registered Tuesday evening.